No personally identifiable information about you is shared with a Client or Third Party Processors except as otherwise stated in this policy. Your information will be used to personalize and enhance your only4deals.com experience by matching the information you provide us with better, more relevant offers and opportunities available through only4deals.com At some point we may use your information for administrative purposes (i.e. to contact you in order to answer questions or provide information). From time-to-time, we may send you general e-mail updates regarding changes or improvements to only4deals.com or our services. only4deals.com will not disclose, lease or sell any information we gather from only4deals.com to third parties for the purpose of sending you information about their products or services or for any other reason, except as otherwise stated in this Policy or unless you specifically indicate your willingness to allow us to do so. For example, with your consent we may disclose your personally identifiable information (such as your name and address) to third parties that may then send you incentive offers and other promotional materials through the mail or via e-mail. only4deals.com contains links to other Web sites. Please note that these other Web sites may have privacy policies that differ from those of Only4Deals. Several of these other Web sites may share or otherwise use the personal information you provide them. We have no control over any personal information you choose to provide those Web sites. Except as provided above, your information is shared with Clients only on an a non-personally identifiable basis. In certain instances, however, we provide you with the opportunity to share some of your contact information with Clients, who subject such information to their own privacy policies. For example, you may wish to receive more information directly from a Client via e-mail or postal service. But it is strictly your decision to submit any form or "click" the button to reply. Some offers or services will require us, by their terms, to forward your personal information (such as mailing address for delivery of orders) to a Client so that they can provide the service directly to you. The choice to participate remains yours. We may occasionally send information about our Members to third-party processors ("Third Party Processors") to organize, administer, process, append and/or analyze our data on our behalf. This will help us provide more relevant offers to you and to eliminate the delivery of duplicate offers from a Client(s). We may use Third Party Processors to deliver offline materials to you. We may also use Third Party Processors to notify you of savings when you are visiting other Web sites. All such Third Party Processors are prohibited from using your personal information except to provide these services to only4deals.com and they are required to maintain the confidentiality of your information. We disclaim and you agree that we will not be liable to you for any damages caused by acts or events beyond the reasonable control of a Third Party Processor including, without limitation, acts of God, fires, floods, acts of terrorism, wars, civil disturbances, sabotage, accidents, labor disputes, governmental actions, and failures or delays of transportation that result in that Third Party Processors' disclosure of your personally identifiable information. Although we believe we meet industry standard practices in protecting your privacy, we cannot promise that your information or private communications can remain private one hundred percent of the time in ways not otherwise described in this Policy. For example (without limiting the foregoing), we may (and you hereby authorize us to) disclose any information about you to law enforcement or other government officials as we, in our sole discretion, believe necessary or appropriate (for example, as required by law, regulation, search warrant, subpoena, administrative agency ruling or court order, etc.). With your consent, we use your personal contact information from our newsletter signup to send you e-mail offers available to those who decide to sign up for only4deals.com newsletters. Members may opt-out of receiving e-mail from only4deals.com. 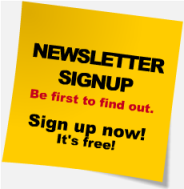 To do so click on the "unsubscribe" link at the bottom of the e.mail / newsletter you receive. Personal data that you have voluntarily entered electronically is delivered to servers located in the United States of America. By using www.only4deals.com or any of our Client's Web sites, you consent to the transfer of this data, and to our use of such data as outlined in this Policy. Only4deals.com gives our Members the option of deactivating their information from our databases so as not to receive future communications from only4deals.com. To do so , simply click on the unsubscribe link at the bottom any e.mail or newsletter you receive from www.only4deals.com. We reserve the right to deactivate a Member at our sole discretion if we believe that Member has used the Site, in a way that is fraudulent or damaging to only4deals or our Clients. We reserve the right, at any time and without notice, to add to, update, change, modify or revise this Policy, this Site or our services simply by posting such change, update or modification on the Site. Any such addition, update, change, modification or revision will be effective immediately upon posting on the Site. Division of R.P.Marketing Group, Inc.